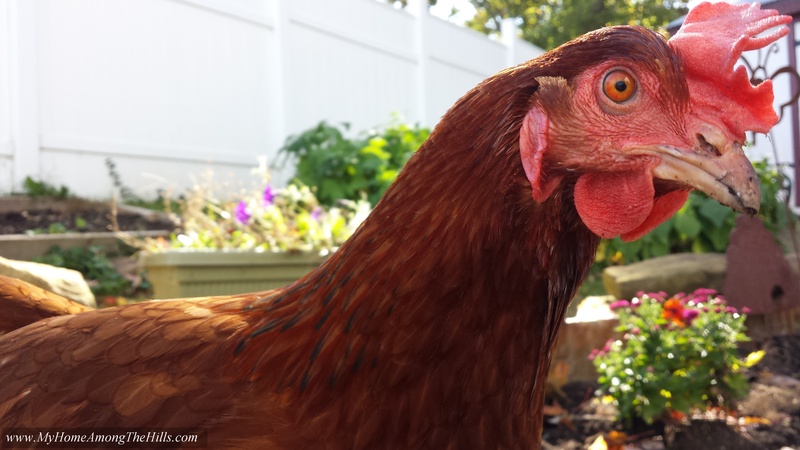 The bugs, weeds and other NATURAL foods that free range chickens eat make for better tasting HEALTHIER eggs. And chicken therapy is cheep and probably better for you in the long run. There is nothing as relaxing as watching your herd, no matter what type of animal it is made up of: livestock or children. 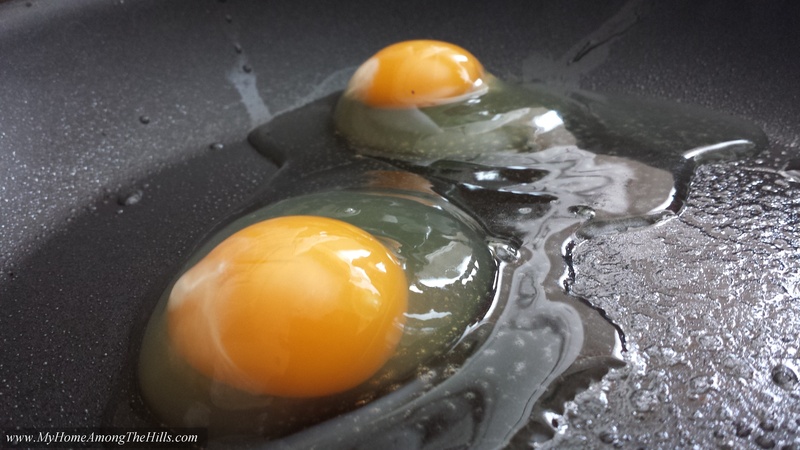 Here’s another method for boiling fresh eggs. 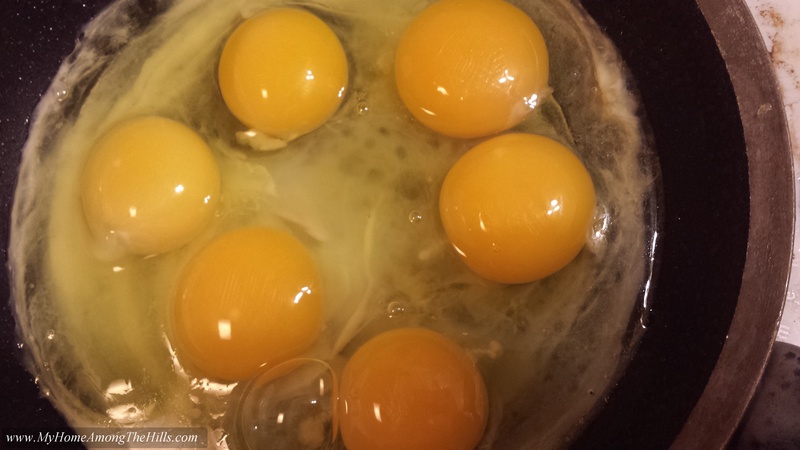 Bring your pan of water to a boil and put room temperature eggs in the water with a slotted spoon. 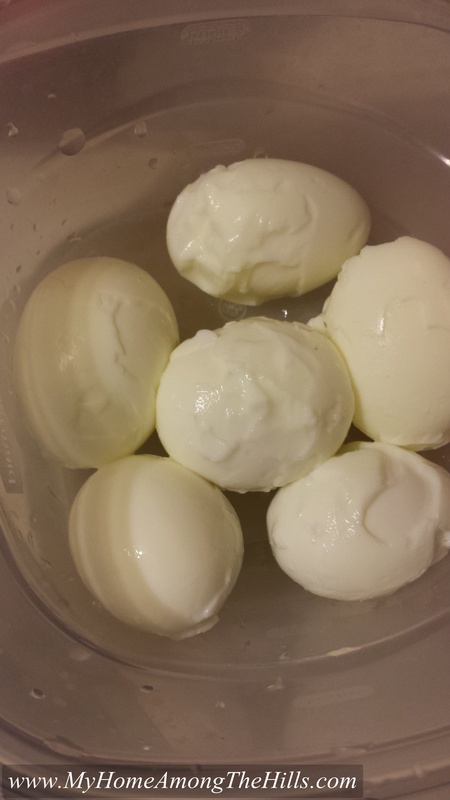 Boil eggs, rinse with cold water, peel when their cool enough. Works every time. Every time I collect eggs, they chase after me! It’s kind of funny, really. The farm eggs that I buy and hard boil, I rinse in cold water immediately when done and then add ice and let them set for about ten minutes in the ice bath. I have a lot higher success rate in peeling them. Occasionally I still get one that peels hard like the ones you have. But I’m guessing that by the time I have bought them and then decide to hard boil them, they qualify as “having sat around for awhile” which might be the difference. Have you ever gotten any bumpy eggs? I remember that once in awhile we would get one that looked almost like a large golf ball with all the bumps on it. 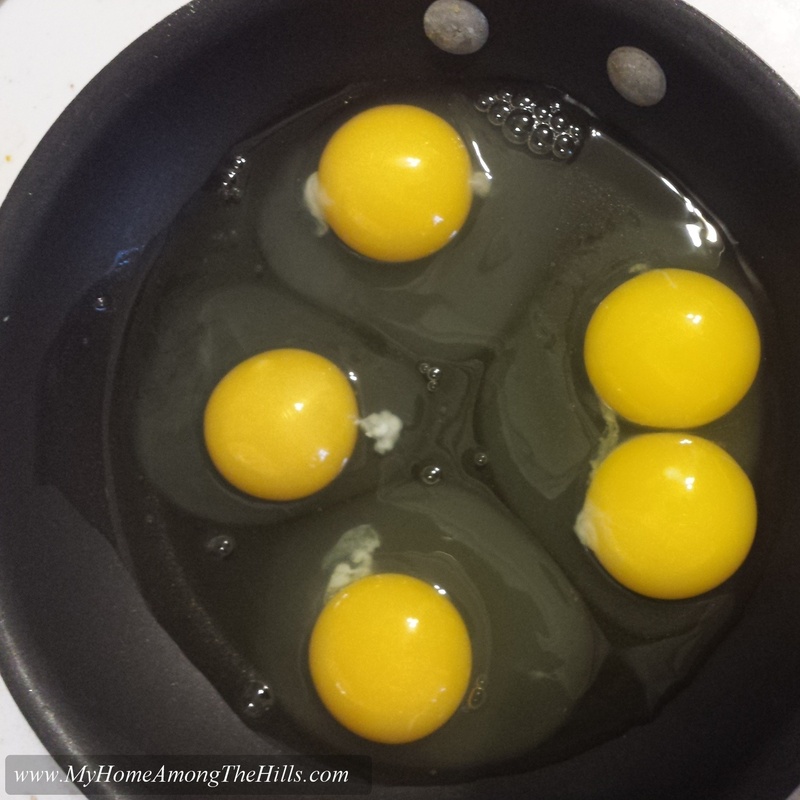 In our family we considered the person that got the double yolk had luck on their side for the day. 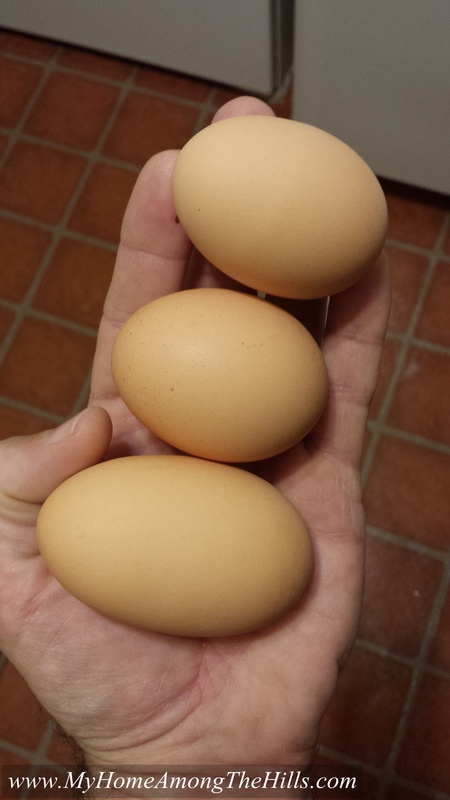 I had always heard that it’s better not to use fresh eggs to hard boil, but thanks for telling me why. 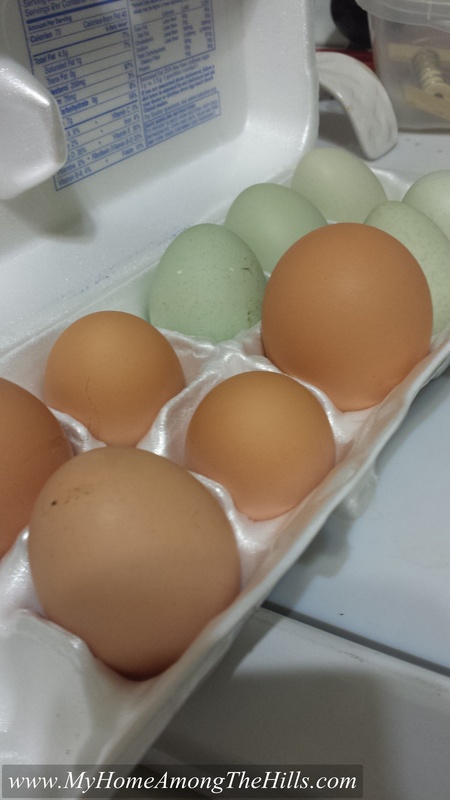 Schmenky has all different sizes AND colors of eggs from her girls! I have to say though, I can’t taste the difference between her eggs and my store bought. But I do believe your eggs would be healthier! We call grocery bought eggs, “Pretend eggs”. They simply are not in the same category. Sort of like a Ribeye vs. Round Steak. Both beef, but one is far better than the other.